Global Village concept is a collective of creative enterprises, community organisations, incorporated associations and entrepreneurs have come together and that will attract locals, visitors and artists in residence, artists, craftspeople, and our diverse cultural communities. 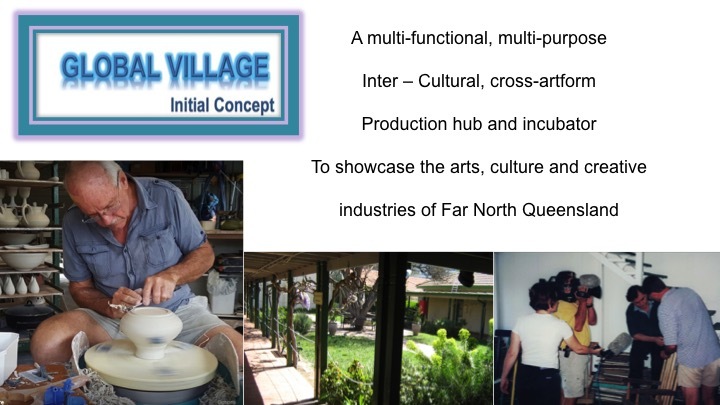 Global Village (concept) is a socially inclusive, capacity building, collaborative cultural enterprise with real work opportunities, pathways and support for all participants. A unique, iconic, destinational venue. If you are interested in finding out more about the opportunities that Global Village has to offer the arts, cultural and creative industries, microbusinesses, practitioners, groups and organisations.